All organisations need to be sure they are making the most of the talent they have, few can afford to recruit new talent in large numbers or risk losing existing key talent to competitors. Progressive organisations recognise that 'Talent' is system wide, everyone has something to offer or else why would you have them in the organisation in the first place. The trick is to know what they can offer and ensure you are capitalising on these abilities. Many organisations use a ‘9 box grid’ as a way of identifying talent, but the grid can do much more than that. It is the means to enable those vital conversations to happen between managers and individuals which are so key to identifying talent (at all levels) and increasing performance. What is a 9 Box Grid? 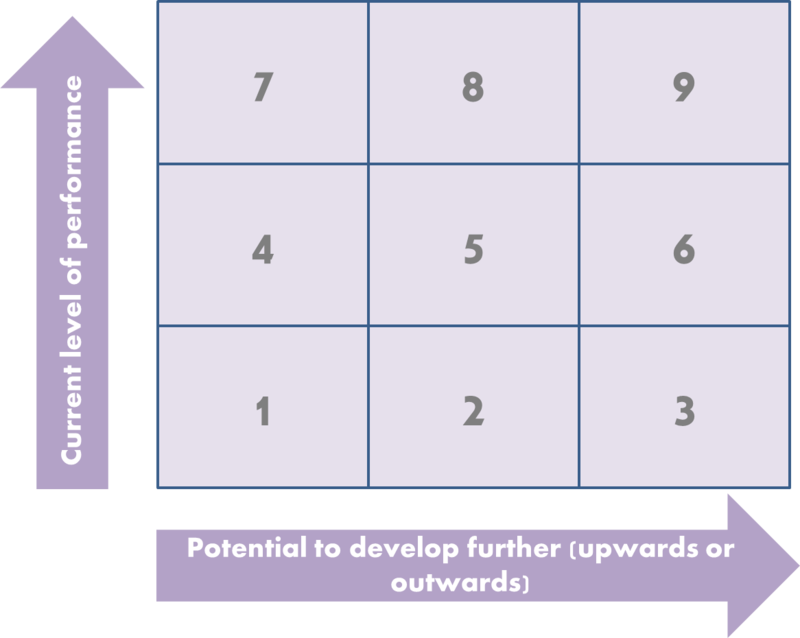 As the title implies this is a grid of 9 boxes in which individuals, in discussions with line managers are mapped into one of the boxes on the grid based on a joint assessment of their current level of performance and their potential to develop further. 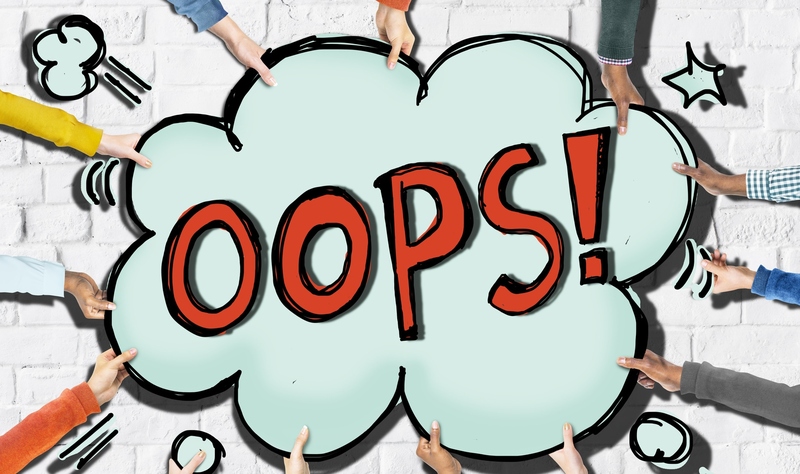 It is a simple concept with a myriad of ways to cause problems if handled incorrectly. How is it used in organisations? It is used in Talent Management to identify those who are high performance and high potential, however, this is a narrow virtue of the box which can engage or disengage people depending on how well (or badly) it is used. Ideally the grid should not be directly linked to performance management although performance management clearly feeds into the process. If managers have 4 development discussions a year with their staff, they should consider using two of these to focus on the grid. Different organisations like to put different words to the grid. In its most basic form box 1 could be low performance/low potential, box 5 performing to expectations and working to potential, with box 9 showing high performance and high potential. The key is to identify what works in your organisation and what language would encourage the discussions to be open and honest. There are real areas of opportunity for those individuals falling into box 8 or box 6 as you can work together to leverage their potential or performance to move them towards box 9. For individuals falling into boxes 1, 2 and 4 there should be honest discussions about whether they are suited to the role, what more you would like them to do to fulfil the requirements of the role. Included in this should be explanations of what good performance looks like, what poor performance looks like and what constitutes potential (this is where organisational guidance to staff and managers is helpful so that the messages are consistent and clearly understood). Individuals in box 7 are doing their job well but may not want to proceed further up the organisation for a variety of reasons. This is not a bad thing and acknowledging their contribution is vital. It may be worth exploring what blockers they have to developing potential, is it skills, behaviours or personal circumstances. Is this likely to change in the future? Individuals in box 3 may well be bored or unhappy with their role. Find out what motivates them, what hobbies and skills they have, consider how would this translate into the work environment e.g. projects, new responsibilities a change of team. Consider how you can stretch them. Individuals in box 5 are doing what is required of them now but it is worth checking if they understand what success looks like both in terms of high performance and high potential. Hold up a mirror to them in terms of their current performance and behaviour. Sometimes people get by doing just enough and don't think they have the ability to go further or do more. Sometimes personal circumstances prevent people stretching themselves further. Are these people good in some areas and less good in others? How can you leverage their contribution? What would motivate them to perform better or develop further? Remember, whatever box people fall in now, it is a snapshot at this point in time and is likely to change. Don't write people off or conversely assume people will maintain high performance if you do nothing. Also ensure you have specific evidence and examples for your assessment. Who Fills in the Grid? Step 1 - the individual assesses themselves using supporting criteria given out with the grid. Step 2 - the manager and the individual discuss the rating the individual gave themselves and the manager then adjusts the rating providing evidence as to why the rating is being adjusted up or down in any area. Ideally both reach mutual agreement on which box the individual falls into. If there is failure to agree ultimately it should be the line manager's call but with a note made of the area of disagreement. Step 3 - managers get together in groups to moderate the assessments so that it is clear that the process is being operated in uniformity across the organisation. What do you do with the Grid? The most important purpose of the grid is that conversation (yes again!). This enables individuals to be told things such as 'yes you are a high performer in this area but I have not seen evidence that you would perform well at a higher level' or conversely 'no you are not performing well in your current role but I believe you are not in a role which is making full use of your potential'. What you should not do is file it until next time. Sit down and plan what actions will be taken between now and the next review. How do Managers Prepare for the Discussion? Without knowing where the individual has put themselves, consider your own knowledge of the person, their job performance, their skills, knowledge and behaviours. What would you say about this person's performance and potential? Consider what the requirements are in their current role and for a future role (either sideways or upwards), what would they (and you) need to do if they were to be made ready for progression. Also consider where the other people in your team come on the grid. Any manager should know who their top and bottom performers are, if you believe everyone is a box 9 you are likely to have a hard time at the moderation meetings. Also you are doing a disservice to people who are genuinely high performing and high potential. What should supporting guidance for managers include? A description of the boxes, examples of what would constitute poor, acceptable and high performance and ditto on potential. A reference to any skills, competency or career frameworks. An explanation of the process including any rights of appeal. What happens next both with the data and with any development needs identified. Why you are doing this. If the aim is to identify high performing and high potential people say so, also say if there are development programmes aimed at these individuals. Also say what those who don't make the top boxes get out of it, are there other initiatives in place managers can support them with, either through projects, job shadowing or training. Issue a disclaimer along the lines that being identified as high performing and high potential is no guarantee of future success in the organisation, nor is it a guarantee of additional training. It helps the organisation assess what talent it has and what can be done to sustain and grow talent going forward. A reality check, this doesn't replace the performance management process. Having potential does not mean poor performance won't be addressed. Organisations which just go with manager assessment with no input from individuals and no way of recording disagreement are open to criticism. People easily become disaffected with this approach as managers risk being accused of supporting favourites. If someone is told they are in the boxes 6, 8 or 9, they will surely expect some action to progress them further. Be sure you have solutions in place which will address their development needs. Employee representatives may have some suspicion about the use of the grid; however, if it is genuinely used to help all staff achieve their potential then the approach is valid. 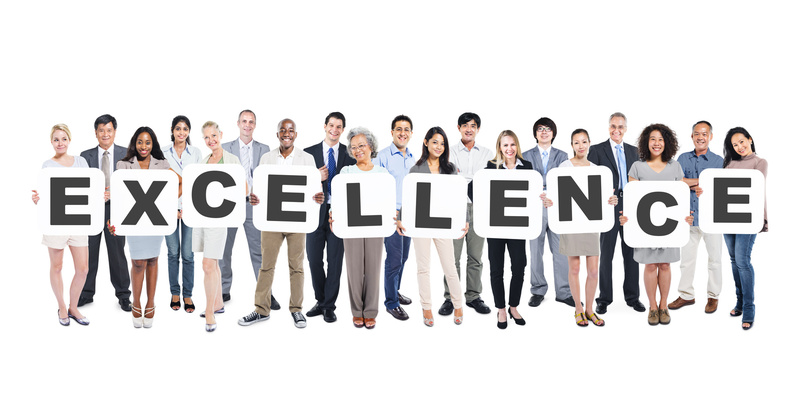 Remember it does not replace your normal performance management process! Some organisations take box 9 people and promote them into jobs which they are not quite ready for - on the basis they will soon 'grow into them'. This will certainly provide stretch and opportunity but look at what support you can provide such as mentors, coaches, additional learning and honest feedback. If this is your approach it is vital that part of the behaviours assessment includes a willingness to listen and respond to feedback. Some people think that being a box 9 guarantees them a seat on the board - the message must be that we are talking potential not lifetime guarantee!! The 9 box grid can really help identify if people are in the wrong role, if that is the case there is a joint responsibility to respond to that. The bottom line is the individual is paid to do the role they are in and if the role is found to be not making the most of their skills they should be looking to find one which will. That said, managers have the ability to build opportunity into roles to provide additional stretch e.g. projects to manage, different business sectors to work with. Some people do find the whole process demotivating, being told you are a box 1, 2 or 4 may come as a shock (it shouldn't if you have been doing your performance management role effectively). Honest discussions for these people may centre on whether they are in the right role, being stretched enough or if there are other issues and concerns getting in the way. If someone is in box 1 then your own performance management process is likely to (putting it bluntly) suggest measures to improve or remove the individual. Sometimes showing an interest in those lower down in the grid can provide a boost which sends them up the grid. Don't immediately write people off if they are box 1, 2 and 4's, consider how they can improve (that said if they stay in these boxes the performance management systems should be in play). The focus on Talent should take a whole systems approach. Talent is not just those with potential for the board but can apply to your whole workforce and the individual skills, expertise and knowledge they bring to your success. Talent development solutions need be available to address different groups of your workforce, different solutions support different groups. This is important to remember if you are to avoid disenfranchising large swathes of your people! The 9 box grid can be a useful tool but plan how you are going to use it and importantly what the follow up will be. Keep the process open, honest and use in conjunction with other people management processes such as performance management and personal development planning. Describe the boxes in a language which suits your organisation and culture. Remember the box is just a snapshot in time, don't write people off for low markings. Use a 3 step process for completing the grid to evidence an honest and open approach. Prepare managers for discussions; ensure they back up their ratings with evidence. Ensure that guidance is available for managers and individuals which support a consistent approach to using the grid across the organisation. Ensure the messaging is right - being marked high performing and high potential is not guarantee of promotion. Ensure your managers are clear what development solutions can be offered. Take a 'whole systems' approach to Talent - begin with the assumption that everyone has something to offer.